CWops CW Open 1.0, CWops CWT 1.1 and ARQP 1.3 Now Available + QST Cover Thrill! CWops CW Open 1.0 is Now Available! I've just completed software to support the annual CWops CW Open contest that runs every September. CWops CW Open Contest Log 1.0 includes all the features you've come to expect in N3FJP Software including dupe checking, scoring, DX spotting, rig interface, super check partial, band map, sending CW, etc. Best of all, you'll likely find it very easy and intuitive to use! As always, additional programs I add to the N3FJP Software Package are free to N3FJP Software Package users. You can use the same password for CW Open that we sent you for the CWops CWT software. If you don't have a password for CWops CWT in your password list, just e-mail Kimberly and me direct and we will send you a password for this new program! You'll find CWops CW Open Contest Log 1.0 here. CWops CWT 1.1 is Now Available! Version 1.1 corrects the listing of 1X1 calls in the multiplier list. As always, upgrades are free to registered users. You'll find version 1.1 on the web site here. Arkansas QSO Party (In State & Out of State) 1.3 are Now Available! The Arkansas QSO Party folks have made a rule change, increasing points for digital QSOs to 3. I've updated both the in state and out of state versions to accommodate this new rule. As always, upgrades are free to registered users. You'll find the upgrades for the latest state QSO party software on the web site here. So, this may not be the cover of Rolling Stone magazine, but for me it is even more of a thrill! 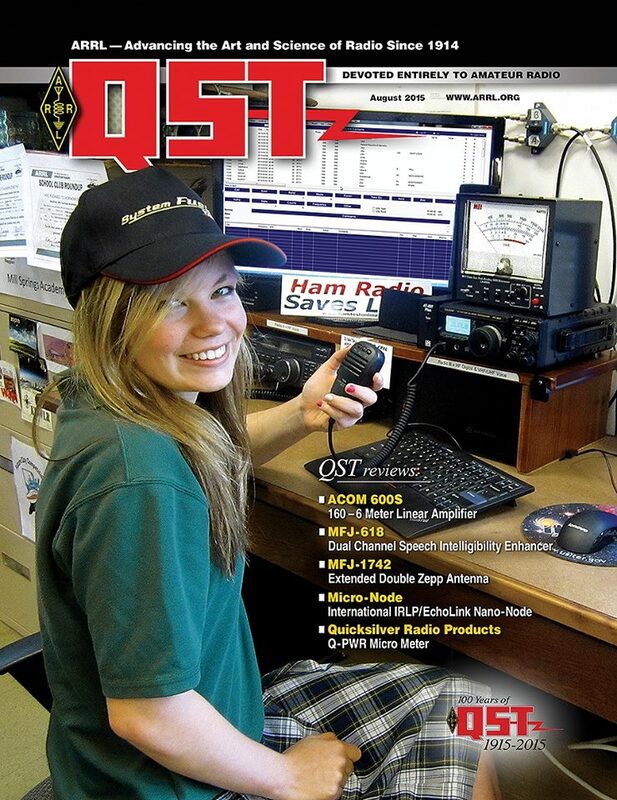 Check out Amateur Contact Log prominently displayed on the cover of ARRL's August 2015 QST!! !